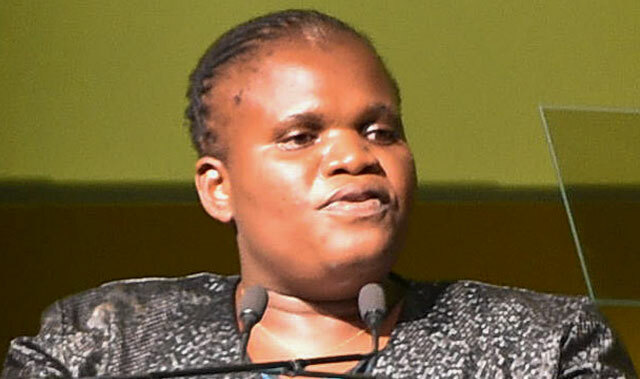 Communications minister Faith Muthambi will kick off the digital migration process for consumers on Friday when she begins the household registration process for set-top boxes for residents inside the Square Kilometre Array (SKA) area. The process will begin in the community of Keimoes (Kai Garib municipality) in the Northern Cape. “This is a very important milestone in the digital terrestrial television migration project. This means that households with television sets in the SKA area will now receive fully subsidised set-top-boxes once they have completed the registration process,” said Muthambi in a statement. Government intends providing as many as 5m free set-top boxes to poorer households as part of the long-delayed digital migration project. The department of communications identified the SKA area of the province some time ago as the place where the digital TV programme will begin. “We have set ourselves the target of concluding the migration from analogue to digital here in the Northern Cape by 1 January 2016,” said Muthambi. Households in the districts that form part of the SKA radio telescope must visit their local Post Office branch from 1 October to apply for a subsidised television decoder. >>The department of communications identified the SKA area of the province some time ago as the place where the digital TV programme will begin. >>“We have set ourselves the target of concluding the migration from analogue to digital here in the Northern Cape by 1 January 2016,” said Muthambi. Shouldn’t you be announcing the long awaited SA switch-on to digital before talking targets and deadlines for NC…??? Wow, so excited, indescribably elated, to see Mama Muthambi on our favourite SABC TV handing out free STBs and switching on the TVs of the tannies in Loeriesfontein very soon ! And she and her blue light convoy must especially not overlook the thousands of households in Diemansputs, just past Verneukpan. These blessed masses in the lush green planes of the Karoo will no doubt receive these dignitaries with enormous hospitality and gratitude. Now beyond sarcasm, saw our well spoken minister visiting Mabopane, north of Pretoria, on TV recently, I believe it was Sat 19/9 to inform and educate the residents about DTT. A meeting with five and a half residents and a stray dog.They were totally ignorant and disinterested, requesting housing and clean water. After that our jet setter minister was seen the next evening after she addressed a larger crowd in a church service in Limpopo, her native province. If they don’t set targets, how can they miss them, then ask for more money to accelerate the roll out? How do you think all the dodgy deals are funded? Amazing how deep the ANC will dig to find a so-called “success”. Hi Minister. Please note all the satellite dishes in the Northern Cape SKA area. Most people, rich and poor, installed cheap OpenView HD (R399-00) or DSTV (R499-00 plus a minimum of R39-00 per month) satellite dishes. The same is happening in all townships and squatter camps. Gov might find they don’t need close to 5 million sponsored set top boxes – but then Gov must also supply millions of Zimbabweans, Nigerians, and other immigrants as well? Rather just commercialise the process immediately. There are SABS approved DVB-T2 boxes for R100-00 to R200-00 each. “I believe it was Sat 19/9 to inform and educate the residents about DTT. A meeting with five and a half residents and a stray dog”. It is because they have satellite dishes from OpenView HD or DSTV for a long time. Why do they need DVB-T2? I do agree with you, if they can give them away for free they might as well make them cheap. But remember there are people who are way too poor to buy a set-top box and they are the ones falling under that 5mil, but i totally agree with you. They’ll ask WHY until their TV signals are no more unless if they have other sources of getting content e.g DSTV, Star SAT, VoD Services, etc. If part of mission for the Square Kilometre Array is the search for Intelligent Life they are highly unlikely to find it on SABC TV. I’d be interested to know if applicants will be required to produce a valid TV Licence when they register. Nope, Zama Nkosi, CEO of USAASA, the Gov agency that deals with the production and distribution of the STBs, once admitted on TV, that they will not be very strict on checking on this official requirement, when handing out the freebies. It is for the suburbia class to pay for free houses, electricity, water, TV and Wi-Fi, T-shirts, food parcels, blankets, grants : the ANC propaganda tools, for the masses in townships and rural areas. The voters base of the misruling party. While they promise now also a national minimum wage, probably around R 6000 per month. Wasting around R 15 Billion of our tax money to hand out freebies . Purely for poopooganda, and the way it is implemented without encryption, also greatly assists the SABC “mother” company : Dstv/Multichoice to increase their near monopoly in pay TV. The relation of Dstv/Multichoice with the SABC is more than unhealthy. The chairman of the SABC board once labelled it a marriage. But a totally unequal, abusive relationship. The deal, brokered by Hlaudi of the SABC and Imtiaz Patel of Dstv 2 or 3 years back, in which Dstv acquired the sole rights of the SABC news and Encore channels for 5 years and unlimited eternal access to all SABC archives for a mere R 500 million, smells like anything. Dstv Africa has a turnover of R 45 billion per year, and SABC something like R 6 or 7 Billion. The big losers of all these changes and deals, and the way DTT is put in place, are definitely the small players as E tv, Starsat and the once announced Siyaya TV. Hlaudi recently stated that only 8% of SABC budget comes from TV license fees. License fees should be scrapped ASAP. Although some 1 st world nations like UK, Sweden and Switzerland still have this archaic system, others like Australia and Netherlands have done away with it decades ago. I believe those pommies still have tv license inspectors knocking on doors. While I agree completely that it should be scrapped, it is a current rule and should be applied equally across the population. In the new Divided SA, some are more equal than others. I wonder what the collection and advertising costs on that 8% are? I’m undecided on whether or not it should be scrapped but I don’t accept the idea that it should be applied equally across the population. If someone of low income status in a rural area can get a STB without producing a TV license and I, living comfortably on a higher salary in a city am required to produce one, I say fair play. Yes it may not be equal but don’t mistake equality for justice. An article in the Sunday Times on the financial mess at the SABC of a few months ago, stated that around R 900 m is collected, but a very large amount is spent on collection fees. Sorry, did not read the article. Only saw a summary on MyBB, I believe. I mean just how difficult can it be? Much better reception here with a terrestrial digital aerial system than with an OVHD satellite once off installation that will work practically almost anywhere in South-Africa. Can the madness get worse? Yes it can…the user can always unplug the co-axial RF cable to the antenna and the new STB-box will still be ‘compatible’ with your tv when there is a big red message saying “connection error” – so although you can’t then actually watch any SABC or e-tv or any other new DTT channel you can always brag with your neighbours by saying ‘we have the new digital STB-box so the SKA telescope can have less interference – the only problem is that it always shows the same picture ‘connection error’. TV is NOT a basic human need like clean drinking water, education, basic health care, sanitation and the like. I repeated it already a ziilion times, this idea of government running all production, distribution and handing out for free 5 or 6 million free STBs is ludicrous and absurd waste of tax money. And imported STBs will incur ridiculous import fees to protect the local electronic industry. So when you would like to purchase one, expect to pay at least R 1000. DTT will offer only 5 channels I believe, SABC 1,2,3, News and Encore, AFAIK. And only when the sole rights to air the last 2 channels on Dstv have expired. I never intended to suggest that TV is a basic human right… All that I’m noting is that (in the case of a poorer person in a rural area) if the requirement to produce a TV license in order to acquire a STB is overlooked while the same courtesy isn’t extended to me, then I don’t have a problem with that. It’s already been said that only about 8% of the SABC’s revenue comes from licenses so I can’t imagine the loss will be that damaging. Furthermore, I don’t see why we’re debating STB costs when we already know that most modern TVs won’t even require one. The fact is that frequency spectrum needs to be freed up and in order to do that, the government has to subsidise poorer households who don’t have modern TVs and can’t afford the STB (considering the high costs that you pointed out). They do NOT have to cost that much, as they are available from China, landed in Durbs from about $ 19 and upwards. It is only our clueless gov that makes things so unbelievably complicated and expensive. Jip. DSTV is taking Gov, SABC, Sentech and local production houses for a big ride. >>Can the madness get worse? Some “Silly Humor” with an option for an Ariel that can be used with the freebie STBs. All said that they don’t watch SABC or E-TV. I would venture that the only word that had any clarity from our Faith the Magnificent was the word FREE. Did FtM mention who was ultimately actually PAYING for those ‘mahala’ boksies that she was so generously handing out? She is not handing them out yet, but the masses will not easily understand that it is massive waste of state funds.